The global smart home market is exploding and is expected to reach $53.5 billion by 2022. Home automation and smart homes come with many benefits, including increased security and control. 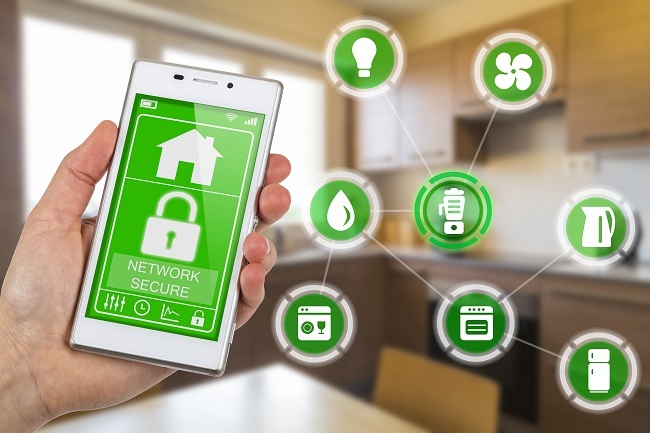 However, it’s important to make sure that your smart home is secure from hackers and cyber attacks. Here are four important tips to help you secure your home network. Not all routers are created equal. A hardwired internet system is harder for hackers to enter, but if you are using wireless internet, make sure to get a router that is secure. In addition, change the default name of the network. Even better, hide the network so that it doesn’t appear when external devices are searching for a connection. You’d be surprised by how many people use unsafe passwords such as 12345678 or even “password.” Make sure to create a complex password with uppercase letters, lowercase letters, digits, and symbols. Write it down somewhere so that you won’t forget it. Also, change your password on a regular basis. If you have a smart home system, you should create separate WiFi networks for your personal devices and the smart home devices. There is no need to mix the two together; it will just increase the risk of an attack. If possible, create a third guest network for any visiting guests and friends. If you are accessing your home automation applications remotely, never do so from a public WiFfi network. Always use a trusted and secure network. If you need to use remote access and don’t have a WiFi network that you can trust, use mobile cell phone data instead, which is generally more secure than public WiFi. It’s also important to buy from a company that makes security a priority. Contact us for more information.